It was not lost on the Tsar’s enemies that the Finns were ready for direct action, leading the Japanese secret service to plot a daring act of espionage in 1905, designed to distract the Tsar from the Far East by creating trouble on his doorstep. The Japanese naval attaché in Stockholm, Motojiro Akashi, was given a million yen in cash, and told to do everything he could to stir up the Finns. Akashi, a lone man ‘worth ten divisions’ in the eyes of the Japanese high command, hatched a plan to undermine Russia by starting a revolution in its most volatile territory. He assembled an unlikely multinational group of agents, led by Konni Zilliacus, a committed revolutionary who acquired an aging tramp steamer, the John Grafton, bought in the name of a Stepney wine merchant and stocked with thousands of rifles, pistols and rounds of ammunition, all bought by agents claiming to represent the King of Siam. Owing to a misunderstanding with the aforementioned wine merchant, the John Grafton was also loaded with several hundred gallons of wine, which the Finnish crew had already begun to work through by the time the ship was in the North Sea. Zilliacus, meanwhile, unwisely chose this highly stressful secret mission, with his crew unconvincingly disguised as members of the Southampton Yacht Club, to try to give up smoking – leading to an embarrassing set-to with the police in Copenhagen where he was caught trying to break into a tobacconist. After several more misadventures in the Baltic, the John Grafton eventually reached the Finnish coast, which it located by unceremoniously ramming into it. Trapped in the shallows of Ostrobothnia, the crew began unloading their cargo, only to be surprised by a vessel from the Russian navy. Realising that time was tight, they ran up the red flag, saluted it, and then ran for dear life while a lit fuse sparked the onboard explosives. The explosion of the John Grafton was heard two counties away. The Tsar’s men inspected its twisted wreckage, and fearfully reported on the conditions of the many hundreds of rifles that had been landed before the explosion. 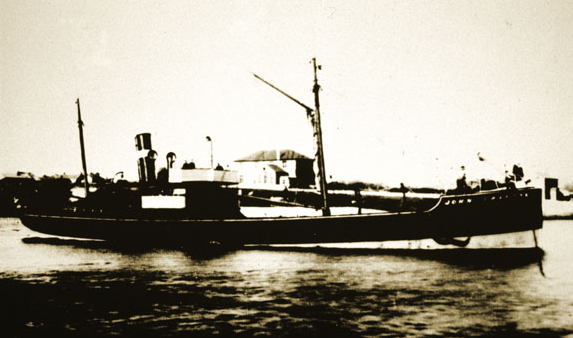 Although the revolutionary mission had been a failure, the mere fact of the existence of the John Grafton, and the possibility that it was only one of many ships, was a source of great concern to the Russian state. However, it had taken care of most of Akashi’s money, and he would soon be run out of Europe after some of his meddling correspondence was made public; he ended up as governor of Taiwan. Konni Zilliacus, meanwhile, fled to England, and would write his memoirs and a cookbook. In one of those odd footnotes of history, his namesake son became the Labour MP for Manchester Gorton. Extract from An Armchair Traveller’s History of Finland by Jonathan Clements, available now in print and on the Kindle (UK/US). Tove Jansson was no shrinking violet. She’d made it very clear to the Japanese animators that the policy on her Moomins books was “No Money! No Cars! No Fighting!” That wasn’t clear enough for Tokyo Movie, who let a guy called Hayao Miyazaki put a tank in one episode. It wasn’t the only sore point with Jansson, but it sure didn’t help. Amid much finger-pointing and recriminations, and whispers in the industry that someone had offered a cheaper deal, production on the 1969 Moomin series suddenly shifted to Mushi Pro. Jansson never knew that many of the underlings and out-sourcing companies remained the same. Noboru Ishiguro, who’d been an inbetweener beforehand, got bumped up to director, and recalled that a number of the staff were self-medicating due to the stress of drawing squashy little Finnish trolls. One Kanazawa-san was stopped by the police after a particularly boozy night at the studio, and breathalysed. “Why are you up this late?” asked the policeman. “We’re animators,” he slurred. “We worked… we finished and I had a glass. 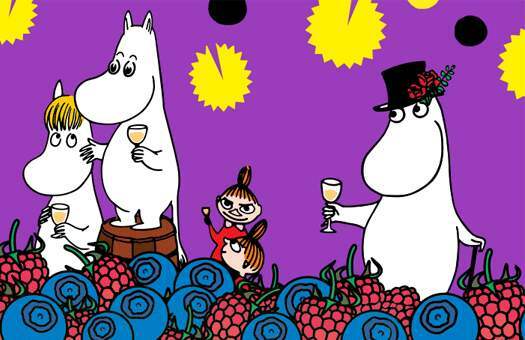 We draw… we draw… do you know the Moomins? Like this. Look.” And he dashed off a sketch on a piece of paper. All too aware of the threat of a drunk-driving conviction, Kanazawa smilingly complied, only to discover that every cop at the road block now wanted his own Moomin pictures. 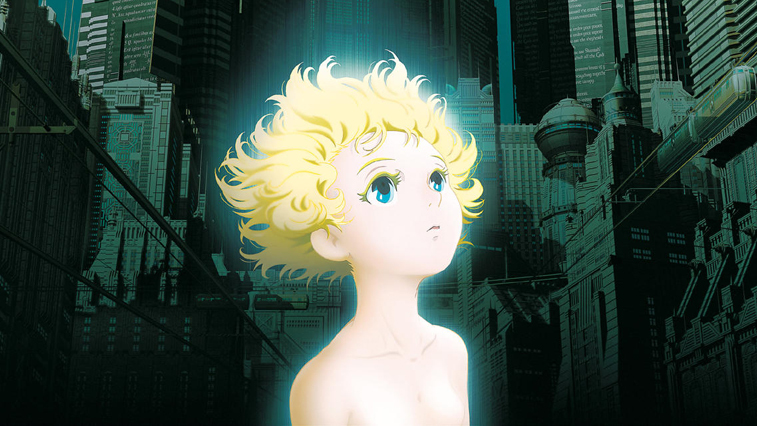 But eventually, all fan-art desires satisfied, the animators were waved on their way. It was close escape. A week later, a suitably cowed Kanazawa clocked off at the studio and headed out, without a drink – he had learned his lesson. As was his habit, he offered a lift to a bunch of other animators, and the crowded car set off on the dark streets, only to run into a police roadblock. An officer approached the car with a torch, and suddenly yelled out. Kanazawa was confused. He knew his driving wasn’t at fault, but could not help but notice half a dozen policemen running over towards his car. “What is it?” he asked, butterflies in his stomach. Kanazawa reddened with anger, and pointedly started up his engine. “How can I draw when I’m sober?” he growled, driving off into the night. Jonathan Clements is the author of An Armchair Traveller’s History of Finland. This article first appeared in NEO #160, 2017. This story does not appear in the Adventures in Moominland exhibition, which is running on London’s South Bank until 23rd April. 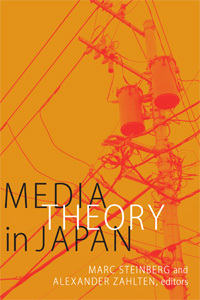 Over at the All the Anime blog, I write a review of Marc Steinberg and Alexander Zahlten’s Media Theory in Japan, which is published tomorrow by Duke University Press. Nobody likes Shang Yang. Since the Han dynasty, the infamous instigator of the Qin state’s brutal, coercive policies has been a bugbear for Chinese historians. It was Lord Shang, so the story goes, who so heartlessly threw away the chivalrous ideals of the Zhou dynasty, masterminding a fascist state on a permanent war footing, an engine of conquest that would eventually roll over the whole of what is now China. Brought down by his own policies and executed by his patron’s vindictive heir, Shang Yang would not live to see the culmination of his ideas a century later: the crowning of his patron’s great-great-great grandson, the ruler of Qin, as the overlord of “All Under Heaven”, the infamous First Emperor. The Book of Lord Shang has become something of an orphan work in Chinese history. With five chapters lost from its original 29 (including the tantalising “Essentials of Punishment” and “Protecting from Robbers”), it was ignored by most literati for the next millennium, and suffered through being rarely cited nor even competently edited until the late middle ages. When textual critics did eventually get around to reading it, many derided it as, if not a forgery riddled with anachronisms, then as a far-from-adequate summary of the thoughts of Lord Shang – better, perhaps, to simply read of his deeds in The Records of the Historian. Even today, it rarely gets to be published in its own right – instead it’s tacked on to The Art of War or Sima Qian’s biography of the First Emperor. The Qin regime itself enjoys a mixed modern heritage; for the general public, it’s known chiefly for its iconic Terracotta Army. Even some China specialists swallow the party line of the Han dynasty, that Qin was some terrible totalitarian experiment never to be repeated, and Shang its dastardly architect, laughing from beyond the grave at its rise and fall. 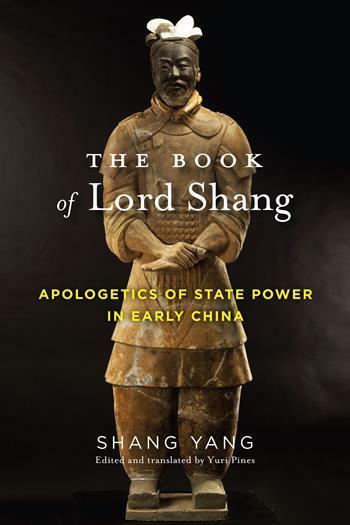 It is hence welcome indeed to see Yuri Pines’ The Book of Lord Shang: Apologetics of State Power in Early China, which not only presents an excellent translation of Shang’s work, but places it in its broader historical context. Pines’ clear and rational introduction sets up the environment in which a hundred schools of thought would contend. He points to the fact that iron was gradually worming its way into the technology of what had formerly been a Bronze Age regime. While the sovereigns of the Zhou dynasty whiled away their days in their central capital, their nobles out on the marchlands gained the technology to clear new lands, to dig better wells and make smoother chariot wheels. Iron led to a sudden expansion of people and territory. Meanwhile, on the battlefield, it began to undermine the old rules of engagement. Although it would be centuries before anyone properly capitalised on it, the days of the chariot were over, and with it, the days of limited warfare. The new “Spring and Autumn” era now favoured the foot soldier, and with it, a broader, more meritocratic footing. For Pines, such technological concerns are vital to understanding the politics of the age. 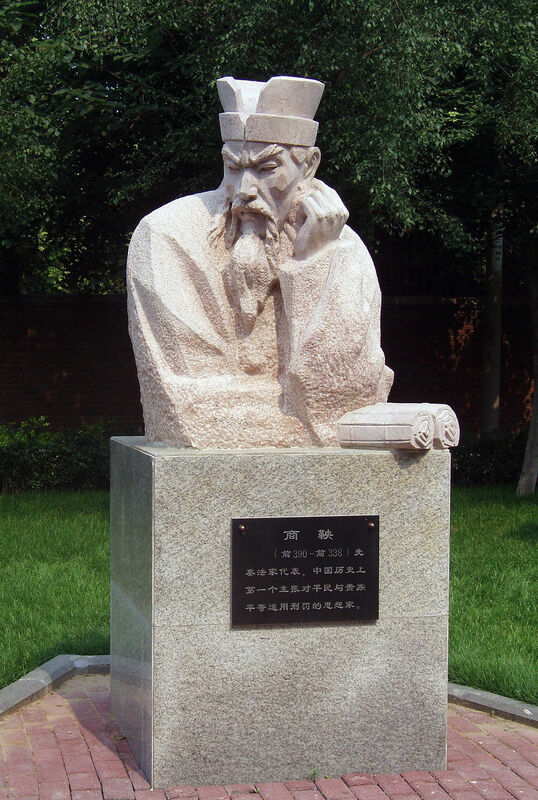 The great sage Confucius, pre-emptive nemesis of Shang’s Legalist ideas, might have complained about the decline in morals and the collapse of the old order, but in Pines’ well-argued thesis, he didn’t realise that his very rise to prominence was itself a symptom of that decline. The old aristocracy had annihilated itself on the battlefield, creating a vacuum that favoured the lower-born “gentleman-scholar”. Meritocracy might have made sense to Confucius, but it also made sense to the beleaguered dukes and marquises of the Spring and Autumn period, who loved the idea of administrators and officials who had no ties to the old noble families, and hence could not lean on their support in palace coups or putsches. Pines’s Lord Shang sees a bigger picture – not merely the decline of old values, but their substitution with an entirely different worldview. In a prolonged blueprint for social engineering, he wants to militarise every element of the state in order to ensure that there is a loyalty scheme in place to reward otherwise reluctant conscripts. War, for Pines’s Shang, is a “bureaucratic procedure”, in which a general throws overwhelming manpower at any problem, expecting someone among the contending minions to get it right in the hope of a bonus. Money buys ranks and also legal immunity, in a state where the administration is, in theory, happy to take labour, or slave-labour, or the monetary value of slave labour in atonement for any misdeeds. Money talks; a Legalist state is all about the numbers, and Lord Shang regards his population statistics as simple figures on a balance sheet, no more or less important than the holdings in state granaries or the supplies of draft animals. Pines’s book reclaims Lord Shang as an influential and provocative thinker, whose ideas are all too chillingly familiar to the modern world. Jonathan Clements is the author of The First Emperor of China and The Art of War: A New Translation. As if Finland did not already have enough alcoholic beverages themed around its most famous son, Carl Gustaf Mannerheim, the Kallio Brewery forges ahead with a “Tropical Milk IPA” named Madahan. That’s 馬達漢 to you, the Chinese name conferred upon Finland’s future president during his two-year trek across Asia on horseback from 1906-08, in which he pretended to be a Swedish explorer, but was actually a spy for the Russians. Mannerheim’s Chinese name continues to confuse many Finns. It does not, as he once believed, and as the Madahan label continues to assert, mean “the horse that leaps through the clouds.” It means “the horse reaches China,” a sweetly literal description of Mannerheim’s ride across Asia. But the Madahan name carries with a bunch of other baggage, much of which eluded Mannerheim during his explorations. The word “ma” literally means “horse”, although it was, and is, also a common Muslim surname in Western China, deriving from the first syllable of the name Mohammed. As a result, several interfering officials tried to get Mannerheim to change it as he travelled, although they didn’t tell him why. Some said that his Chinese surname was “wrong”. In places, it may well have been, since his sneering nemesis, the French explorer Paul Pelliot, may have pranked him by substituting a word meaning “drunk” or “stupid”. Kallio’s Madahan IPA has a colourful picture of Mannerheim, his moustache grown back after his clean-shaven early months on the road, sitting atop the faithful Philip, who carried him all the way to Beijing. Jonathan Clements is the author of Mannerheim: President, Soldier, Spy. There’s a haiku by Masaoka Shiki that doesn’t get translated all that often, because it ruins people’s image of peaceful, Buddhist Japan: “At the temple / beneath peonies in full bloom / we trample on the face of Christ.” It refers to a common annual sight, nationwide in the samurai era, of locals lining up to walk across a picture of Jesus or Mary, in order to prove that they were not secret Christian believers. The novelist Shusaku Endo, baptised as a child at his convert mother’s insistence, was fascinated by this cul-de-sac in Japanese history, specifically by the undercover Christians that such ceremonies were designed to root out – men and women so devout in their faith for a foreign religion that they were prepared to die an agonising death rather than step on a holy image. Endo’s work was suffused with a question about his own faith. Would he be as brave as his forebears, or, if ever put on the spot with such high stakes, would he take the easy option and cave in? Endo’s 1966 novel Silence was pressed into the hands of the famously Catholic Martin Scorsese at a 1990 screening of his controversial movie The Last Temptation of Christ. The director soon resolved to adapt it into a film, intrigued by its deep investigation of the nature of religious faith. The story focusses on two priests sneaking into the closed country of Japan, not only to administer to the Hidden Christians, but also to hunt for a fellow Jesuit who has reputedly gone native. Eventually played, after two decades in pre-production purgatory, by Andrew Garfield and Adam Driver, they search for the missing Liam Neeson, and inevitably fall into the hands of samurai Christian-hunters. Not unlike the similar quest narrative of Apocalypse Now, it’s a journey into the heart of darkness, in search of a phantom figure that might best remain unfound. Endo’s book, and by association, Scorsese’s film taps into one of the most fascinating stories in Japanese history – the savage suppression of the Christian religion in Japan, and its long aftermath. Christian missionaries found thousands of willing converts in the 16th century, particularly in the south, where communities of believers flourished around the ports that had contact with foreign traders. Nagasaki, in particular, became a Christian enclave, handed over to the Jesuits by a devout local warlord, in gratitude. Gratitude for what? Well, there was all that spiritual awakening, of course, plus the money brought in by the silk trade, and (almost forgot) all those guns brought in from the West. Gunpowder helped turn the tide in the long civil war that left the Tokugawa clan in charge, but Christian samurai were unluckily to be found largely on the losing side. Thousands of them were packed off for a time-wasting crusade in Korea, and the survivors resettled as farmers in the south. But with the conclusion of the civil war came the end of the political uncertainty that gave Christianity a foothold in the first place. The Tokugawa Shoguns were deeply suspicious of a religion that owed its allegiance to a foreign god-king in Rome, particularly after an angry Spanish captain had boasted that missionaries were merely the vanguard of an insurgency that would eventually be followed by conquering soldiers. Christianity was hunted down and stamped out. A rebellion in the south, led by a teenage messiah, ended with the massacre of 37,000 Christians. The survivors went underground, worshipping in shadows and caves, hiding their icons inside Buddhist statues, and passing on the Bible by word of mouth. It’s these “Hidden Christian” communities that Silence documents, nests of forbidden believers among the most remote fishing communities, hosting a dwindling number of foreign priests smuggled in from the outside world. As the decades passed, their understanding of religious doctrine grew garbled and confused, but their faith remained strong. Scorsese’s movie also boasts a who’s-who of big-name Japanese actors, including Tadanobu Asano as a creepy interpreter and Shinya Tsukamoto, director of the cult classic Tetsuo, as one of the Japanese faithful. Snubbed at the Golden Globes, for which it may have been released a few scant weeks too late, it was sneaked out in America late last year in a bid to secure last-minute Oscar nods. By the time you read these words, you will know whether that was a matter of blind faith or not [Time Travel Footnote: Yes, apparently it was]. 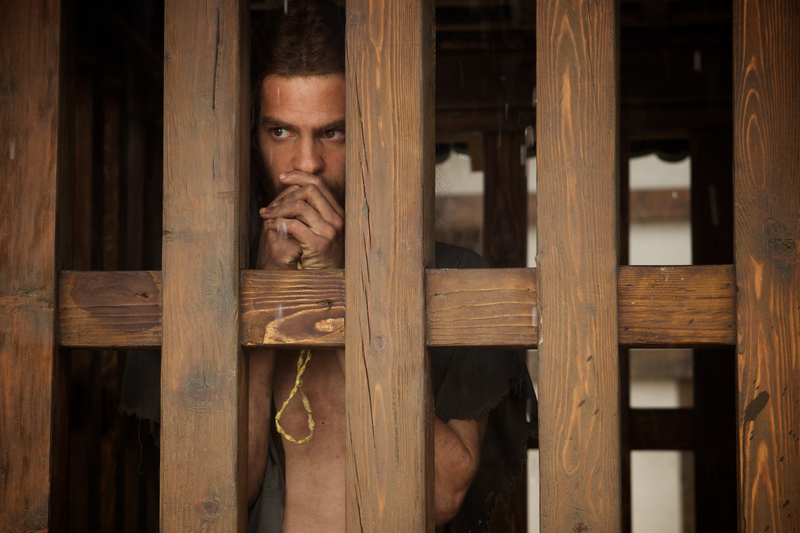 Jonathan Clements is the author of Christ’s Samurai: The True Story of the Shimabara Rebellion. This article first appeared in Geeky Monkey #17, 2017.